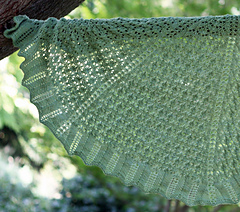 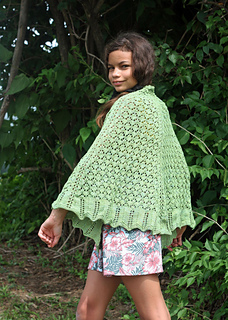 Knit from the top down, Pendlebogen is a semicircular shawl worked in a simple (but interesting!) 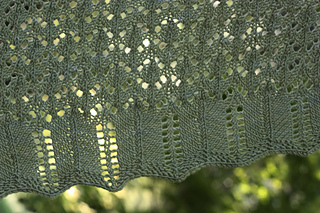 lace pattern with a peaks-and-valleys border. 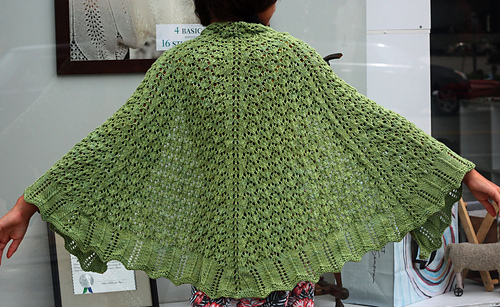 The gorgeous hand-dyed DK yarn shown in the sample is available as a kit from genius colorist Carol Sulcoski at Black Bunny Fibers.